Satheesh, recipient of the Infosys Prize 2018 in Physical Sciences, is said to have greatly enhanced understanding of aerosols and their impact on climate. Bengaluru: As the world descends into an alarming mess of global warming, rising sea levels and air pollution, climate scientists are becoming more important than ever. S.K. Satheesh is one of them. 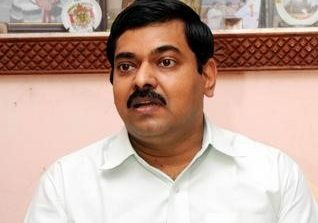 Satheesh, a recent recipient of the Infosys Prize 2018 in Physical Sciences for his pioneering work in the field of climate change, is a professor at the Centre for Atmospheric and Oceanic Sciences and director of Divecha Centre for Climate Change at the Indian Institute of Science (IISc), Bengaluru. His work revolves around black carbon aerosols, the light absorbing particles that affect not just the human body but also the climate, especially over the Indian subcontinent. Aerosols are a suspension of microscopic particles in air and can be either natural or anthropogenic (human caused). Of the latter, black carbon aerosols are possibly one of the greatest pollutants on earth, and are produced by fossil fuel emissions and biomass (wood, dung, garbage) burning. Satheesh’s 25-year body of work is said to have greatly enhanced what we understand about aerosols and their impact on our atmosphere. He showed that these dark particles affect the radiation balance, i.e. the amount of solar radiation that enters the planetary atmosphere and the amount of earth radiation that leaves it. Born and raised in Thiruvananthapuram, Satheesh studied in government schools. After his graduation in physics from the University of Kerala, he completed his post-graduation from there in the same subject, with a specialisation in electronics. He studied the ionosphere and how it charged, which played an important part in the then-exploding field of microwave communication for satellites. On track to becoming an engineer, his plans changed at this point to studying the atmosphere. Upon graduation with an MSc physics, Satheesh joined Indian Space Research Organisation (ISRO)’s Vikram Sarabhai Space Center (VSSC) in 1993 as a junior research fellow to study the Earth’s atmosphere. He worked on his PhD there until 1997 under the guidance of Dr. K. Krishna Moorthy. He then moved to the Scripps Institution of Oceanography at the University of California, San Diego for post-doctoral research. This is where he first started working on aerosols, specifically, marine aerosols. These were not well understood at the time due to the difficulty in studying them, which required long periods at sea or on remote islands. For two years, Satheesh worked in the Maldives and out in the ocean, studying not just how anthropogenic aerosols are transported from land to sea but also how natural aerosols from the ocean impact the weather. Satheesh’s most important finding was to prove the existing belief of natural aerosol not impacting anthropogenic effects on the atmosphere wrong. The review paper he published as a result is among the top 25 highly cited ones in the field of earth and planetary atmospheres. These natural aerosols also tend to combine with anthropogenic ones and form a new type of aerosol that affect climate and pollution in completely different ways. Smaller, anthropogenic black carbon particles cling on to larger, natural dust particles, covering it and contributing to warming exponentially more. After three years at Scripps, Satheesh moved to the NASA Goddard Space Center in Maryland for another post-doc on remote sensing satellites. He also briefly worked in University of Bern, Switzerland, before joining IISc in 2000 where he’s been since. At IISc, Satheesh started the Aerosol Laboratory, a globally recognised entity today supporting PhD students. Satheesh has been a recipient of the Shanti Swarup Bhatnagar Prize, the highest science award in India. He was a NASA Senior Fellow at Goddard and has also been a Swarna Jayanti Fellow. Additionally, he is an elected fellow of all three Indian science academies. The Divecha Centre for Climate Change, headed by Satheesh was established at IISc, in January 2009. The centre puts forth policy suggestions to the government, especially to the branches of the Ministry of Environment, Forest, and Climate Change, Dept of Science and Technology, and Ministry of Earth Sciences. “Roadside and agricultural burning has no accountability. Open and unattended areas are prime locations for garbage burning too. Coal-fired power plants across the Indo-Gangetic plain are highly dangerous and need to be checked,” he said. However, these problems are better controlled by governmental bodies and require long-term changes. On an individual level, Satheesh explained that we can still make changes that are helpful. “Another thing we could do is conserve power by turning lights and fans off when we go out. Printing unnecessarily is also a great indirect cause for pollution due to felling of trees which can combat pollution,” he said. “Then there’s plastic,” he said. Satheesh stressed that there are several effects of air pollution that we see around us everyday, including the ill health and respiratory disorders developed by senior citizens and bleaching of coral reefs by ocean acidification. Glaciers melt quicker, especially since black carbon particles settle on ice, warming them. We’re losing land to water, he said. “In climate change discussions, we always discuss global issues but lag behind on regional coverage,” he said of climate change coverage in the media. Next articleGenetically modified Made-in-China babies raise a question — can it really work?